Why is it so important to be jealous? Humbly and respectfully I believe that, in learning to deal with jealousy in a deeply healthful mien, it is so much about embracing a truly healthful spirit of benevolence and gratitude…and learning to better and better avoid any semblance of an unhealthful competitive demeanor. ‘True health’ isn’t about being tough…it is about being strong…in a spirit of true compassion and true empathy. It IS about being a selfless healthful role model and even mentor (in a fashion which is lovingly respective of the greater good – that isn’t inclusive of seeking recognition or having hidden agendas). It is about treating people with dignity, decency, goodness, and grace…and figuring out how to mean it – NO MATTER WHAT. When we learn to better and better take ‘true responsibility’ for our own health and well-being, life becomes less and less competitive. 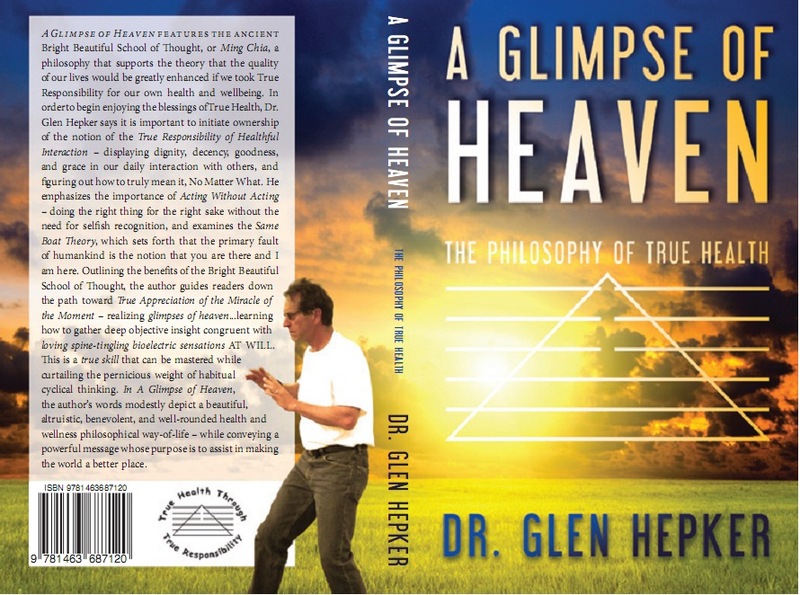 Glen, do you believe it is possible that we on this earth can learn to develop divine natures – moving well beyond the limits of what we seem to know and accept now? 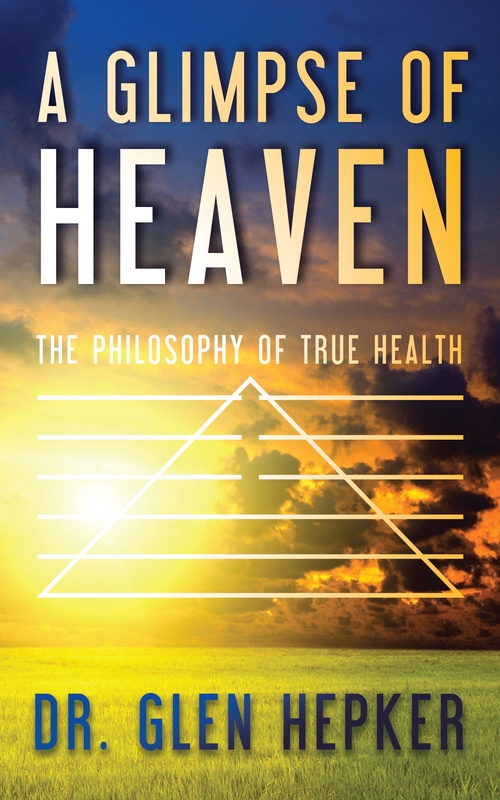 Humbly and respectfully, from the perspective of the ages-old health/wellness arts that I teach, coach, and endeavor to follow, you would be speaking (at least in the genuinely ideal sense) of Heaven. 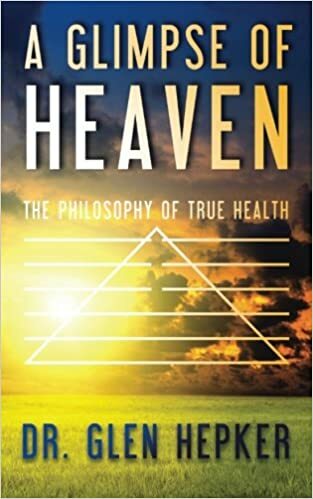 Accordingly, if there is a Heaven, a ‘key to the universe,’ a ‘sixth sense,’ they are rooted in true honesty and true appreciation, promoting of true happiness and true freedom…but most importantly, needing nothing to hide behind. Response: Another great question, T.! Thank you. Humbly and respectfully it is true, other than our children (up to a certain age), we can only take ‘true responsibility’ for our own health and well-being. We can endeavor to (at best) selflessly be good role models, but we (unless we are criminals) are not responsible for what happens to others. That said, we CAN healthfully embrace a genuinely loving and altruistic sense of ‘true empathy’ for others, while healthfully avoiding overt co-dependence (once again, congruent with taking true responsibility for our own health and well-being). Is the surface of the earth a stage-setting on which we enact our comedies and dramas in a grand play? When looking at this question, it can seem quite obvious that it is in fact what we do each day. Albeit, it doesn’t seem to be something we are commonly aware of, at least not in quite the same spirit or practical application. Whatever the case, it can easily be argued that it is in fact what takes place here on the earth, each and every moment. In this healthful outlook, true honesty can be consistent with being an honest actor, or maybe not being an ‘actor’ at all. The important thing is that we are lovingly honest with ourselves, and hence with others. Dishonesty promotes abbreviated levels objective insight and critical thinking within ourselves, and builds ‘walls of lies’ between ourselves and others – so much so that so-called life can be like a living purgatory or living death…a most crepuscular of addictions. The more and more we learn to recognize/enjoy life as a living loving art form, the more we can play the HONEST part of a deeply appreciative unblemished Witness to our internal and external environments. We can learn to better and better feel gratitude for all of the wonderful beyond-words magic going on inside of us and all around us (which is there all-of-the-time, whether we recognize it or not). 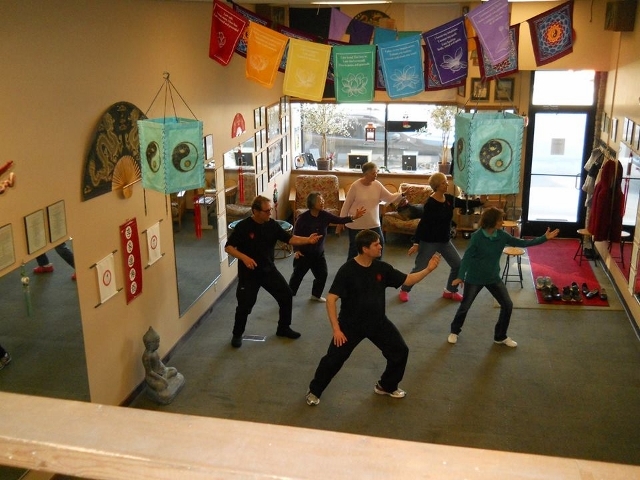 It is much about embracing a loving philosophy which can be the foundation for a splendidly healthful way of life. It CAN be ongoing/common sparkling spine-tingling/shivering ‘glimpses of Heaven,’ each day, each moment. The magic IS in exercising the ‘true effort’ of making it so, and recognizing that such effort is NOT a chore…such effort is the greatest of gifts/blessings that one can allow oneself – always being room for improvement (learning to never become addicted to running away from this truth, this great blessing). A little comedy and drama is just fine, as long as we don’t get lost in it. How important is meditation with regard to our quality of wellness? Response: In the tradition of the health and wellness arts that I teach and coach, the healthful spirit of True Meditation (aka A Glimpse of Heaven Meditation/Parting the Veil/Opening the Door/The Accumulation of Light), as an ideal, is to learn to play the part of the true unblemished witness to the loving living story of one’s life. It is to make one’s world, THE world a better place…inclusive of doing the right thing for the right sake, without the need for selfish recognition or hidden agendas. Additionally, and once again, as an ideal, it is in embracing the notion that there is ALWAYS room for improvement…and that this awareness and its practical application is one of the greatest gifts of all (vs. getting stuck on stagnant plateaus of living death). It is realizing that we really are all in the ‘same (common) boat,’ not so separate as we often think and act. It is supporting others in their HEALTHFUL goals (and once again, doing so selflessly – without hidden agendas). It is having a goal of unblemished ‘true honesty’…which is promoting of ‘true forgiveness,’ ‘true happiness,’ and ‘true freedom.’ It is a goal of taking true responsibility for one’s own health and wellbeing – gathering a loving, altruistic, and deeply-held ‘true appreciation’ of the miracle of the moment, each moment (and once again, there is always room for improvement). According to the Theory of Lightness, it is a truly healthful means by which to gather a living lightness of being, being without, or nearly without, the pernicious weight of desire, craving, stressors/anxiety, and the suffering which is congruent with heavy cyclical thinking. It is a ‘glimpse of Heaven,’ an existence, so-to-speak, with no time, no space, no distance – no yesterday, no today, no tomorrow…but most importantly, the spirit of true honesty, e.g., nothing to hide behind. Are the mistakes which we make, in effect, lessons we need to learn? Response: Humbly and respectfully, I believe this can certainly be quite true – you make an important point. Mistakes, as long as we do not get lost in a purgatory of making the same ones over and over, are lessons we need to learn. This may seem quite obvious, yet it must not be so obvious, e.g., this outlook rarely seems to be addressed. In the ages-old wellness arts/philosophy that I teach, coach, and endeavor to follow, we say that it is ALSO so very much about learning to mindfully embrace opportunities in which we can do the right thing for the right sake…without the need for selfish recognition and hidden agendas (and doing so in an appreciative spirit, e.g., knowing that there is ALWAYS room for improvement). This healthful outlook can provoke realization of greater and greater levels of objective (less and less blemished) insight and critical thinking skills (connecting-of-the-healthful-dots/’pattern literacy).